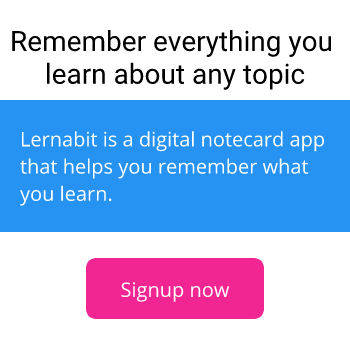 Lernabit Is Now In Beta! Today is an exciting update for Lernabit as I've removed the "Alpha" tag and officially moved into "Beta" phase. For those who might be unfamiliar with what those terms mean, they simply refer to stages of software development. "Alpha" phase is a very early stage of testing done primarily by the software developers. "Beta" phase is a more public phase in which others are invited to use the software too, while the "Beta" tag indicates that there may still be a few rough patches. Moving out of Alpha and into Beta is an exciting development for Lernabit. As mentioned, Beta testing means that there will still be a few quirks and bugs, but things are working mostly as expected. Coming up over the next week, I have some more exciting announcements regarding our mission to make education more accessible. Keep an eye on the blog, and follow Lernabit on Twitter to find out what we are up to.